Fabinho is ready to prove himself a 'fantastic addition' for Liverpool as Jürgen Klopp highlighted Andy Robertson's development last season as an example to follow. The Brazil international enjoyed a fourth appearance of his debut campaign with the Reds when he was introduced as a second-half substitute at Huddersfield Town on Saturday. With Jordan Henderson and Naby Keita ruled out of Wednesday’s Champions League tie against Red Star Belgrade, an opportunity could open up for Fabinho in midfield. And Klopp believes the summer signing’s adaptation has progressed sufficiently to now show just why Liverpool swooped to recruit him from AS Monaco. “He has all the qualities; hard challenges, good offensively, good defensively, quick, good shooter, fantastic set-pieces, good header – all these things,” said the manager. 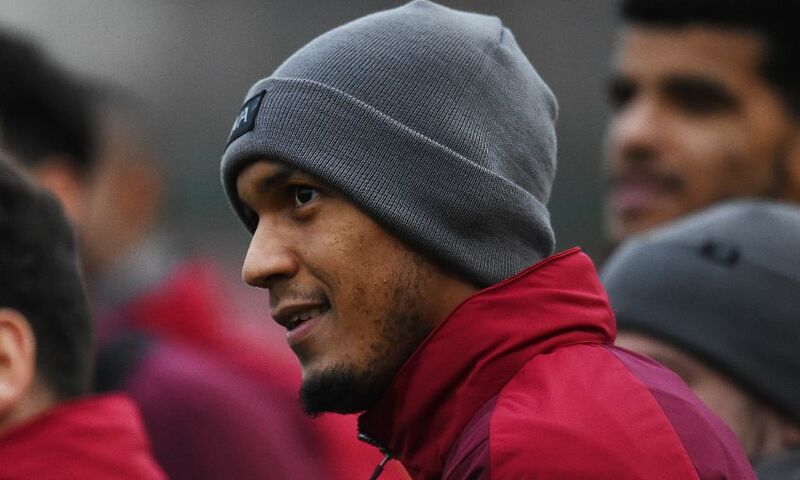 Fabinho celebrated his 25th birthday on Tuesday and was treated to a traditional chorus of Happy Birthday in different languages by his teammates before training. The No.3 has come out of his shell with the passage of time at Liverpool and Klopp is confident the circumstances are now right for the midfielder on and off the pitch. “He has had to adapt to the style of play and, if you watch Fabinho playing at Monaco, he was full of confidence. You come to a new club and it depends a bit on your personality. He’s not the loudest person on the planet,” said the German. “He is more a reserved person, looking, watching, absorbing, and it always takes a little bit more time. But on the pitch, he is back now and that’s good now. All fine.